Use the “Download Here” link above to print the fun kitchen quote You Spice Up My Life! Then try cooking up some kid-sized spicy recipes. Start with some Fresh Salsa you can make in just ten minutes. Here’s a great chunky salsa recipe kids will love as a dip for tortilla chips. Spicy Salsa is a great way for kids to learn chopping skills. Then try making a batch of Barbecue Rub Spice for dad to use on those great summer BBQ grilled meats. It’s ready in less than 30 minutes and uses these tasty spices: brown sugar, paprika, ground black pepper, salt, chili powder, garlic powder, onion powder, optional cayenne pepper. 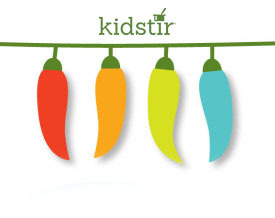 Kids will love it – be careful not to make it too spicy!